This Yoga and Ayurveda Yoga Retreat should form a basis for a fundamental understanding of the principles and contexts of Yoga and Ayurveda. Yoga and Ayurveda are two complementary and pervasive systems in India and are over 5000 years old. The knowledge of the bioenergy (doshas) and their properties is the basis of what is known in Ayurveda as a constitution. Everyone possesses all three bio, but in different proportions.Yoga helps you to keep the doshas in balance. A balanced Dosha makes you happy and healthy while an imbalance causes disturbances in well-being. With the knowledge of Ayurvedic principles yoga practice can be used effectively to balance the doshas and thus designed to maintain health. 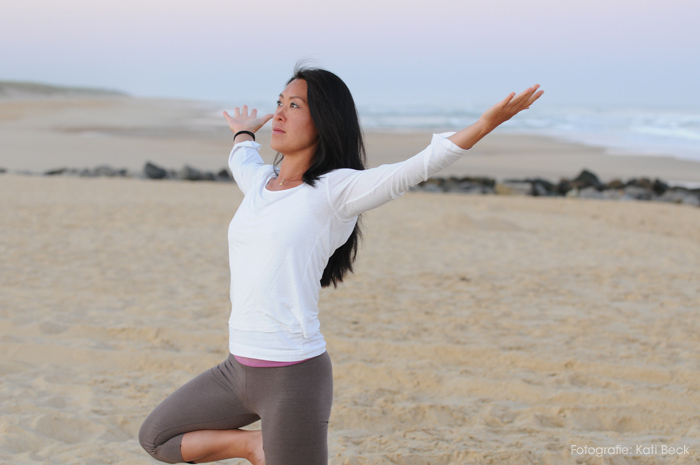 JINA OH has completed her training in the Vinyasa Yoga & Alignment Ruhrgebiet. Besides these she has made a hormone yoga therapy training and further training in Ayurveda and Thai Yoga Massage. SABINE will accompany us as Ayurveda therapist this week. 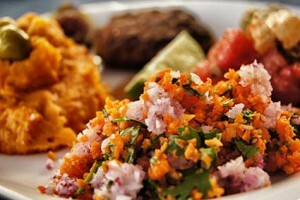 Together we will learn the theoretical and practical aspects of ayurvedic diet. More information about Sabine found in our interview we had with her about Ayurveda. The fee for the Ayurveda Workshops is 45€ per person. The journey takes place if there are at least 8 participants 2 month (10. August 2015) prior to departure. We will inform all participants who have already enrolled as soon as possible, but not later than 2 month prior to departure. We recommend to book the flights not before this notification because we can’t refund any costs in case the journey won’t take place. However it is possible to book your accommodation in Casa Erica in case the journey doesn’t take place.